Aliff produces about 10 videos a month and has 1.1 million subscribers. 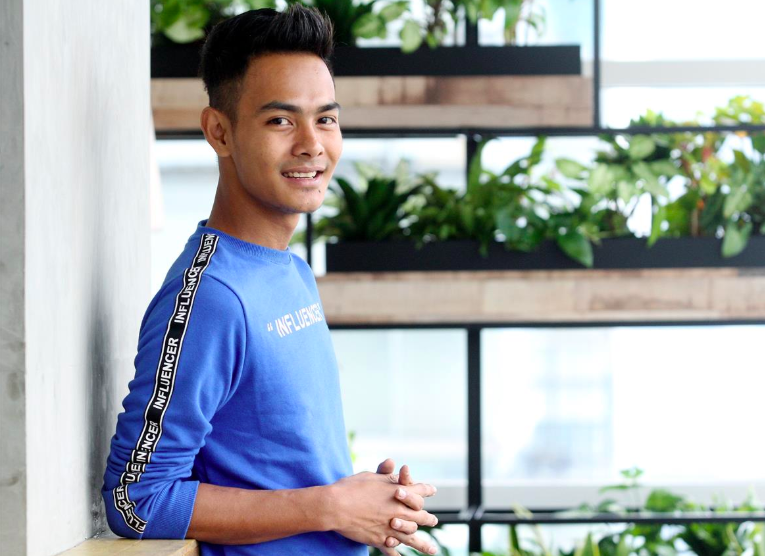 When Muhammad Aliff Irfan Aziki started his YouTube account in 2016, little did he know that in less than three years, he would rise to become one of the top YouTubers in the country. Currently, his subscriber numbers for his "Alieff Irfan" account stands at 1.1 million - and growing daily, mind you - a feat only accomplished by 15 other Malaysian-owned YouTube accounts so far. "I just try to produce videos that I think people would like to watch," shares Aliff, who makes short skits and parodies on topics ranging from Mat Rempits to love issues and more. They are funny and engaging, and Aliff sometimes collaborates with his friends to get the topics and ideas for the videos. The best part? His videos are in his native Kelantanese dialect, something that he was initially hesitating to try, worried that the decision would pigeonhole his career. "In my earlier videos, I didn't speak the dialect and opted for 'regular' Bahasa Malaysia speaking style, but my friends said that I needed to do something different to stand out from the rest," he shares. And boy, were they right. His first video in the Kelantanese dialect, Jantan Pilih Rupa (Versi Kelate) was an absolute hit, garnering over one million views on the channel. The 22-year-old Kota Baru lad produces about 10 videos a month, and what was once just a hobby is now a legit career. Although Aliff is hesitant to share his earnings, he admits that he gets lots of sponsorship as well as payments for product placements in the video. Muhammad Aliff Irfan Aziki, a 22-year-old Kota Baru lad who turned his hobby into a career. Aliff produces about 10 videos a month and has 1.1 million subscribers. "I will tell you, though, how much money I got the first time I received a payment from YouTube. It was RM870 (S$290). I gave RM200 to my mother, and took my friends out for an ikan bakar dinner," shared Aliff, who lost his father two years ago. "My father didn't get to see my success, but he was supportive of my decision to do what I do. When I first started this journey, they weren't sure as to what future a YouTube account would hold for me, but they let me give it a try, and that's what is important," the oldest of five siblings explains. His mother works as a nurse in Temerloh, Pahang, and his younger siblings are there with her, leaving Aliff to pursue his career in Kelantan. "I can't move to where they are because of the Internet connection. I need really good Internet connection to do what I do," says Aliff matter-of-factly. Aliff says that he does get recognised on the street but he doesn't let that stop him from going where he wants to, or doing what he wants. "If I want to go to the pasar malam, I go to the pasar malam. Usually, I get stopped by the older people who would say funny things like 'I don't know who you are, but my child/grandchild wants a photo of you," he shares, with a laugh. Aliff is happy to oblige his fans, saying that he owes his success to them. But it is not all a bed of roses for Aliff as he has his fair share of haters who leave negative comments on his videos without taking his feelings into account. "I have stopped reading the comments because I don't want to do anything stupid like fight fire with fire. Some of the comments can be really mean and get to me, so I decided that the best thing to do is to not read the negative comments and just focus on the positive ones," he says. Not one to be stingy with his knowledge, Aliff says that his production company Studio AI organises workshops to teach people how to make and edit videos. He charges them a nominal fee of RM10, and hopes that young ones would use the opportunity to learn how to make a living via YouTube. "The market is big enough for everyone, and I believe that if you know a good thing, it's better to share it than to keep it to yourself."